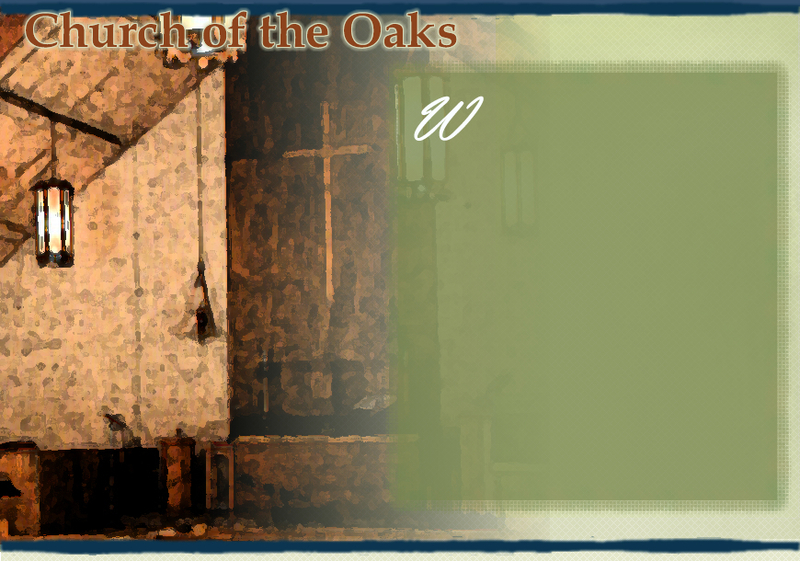 elcome to the Church of the Oaks website. We are a Congregational Church located at 841 Rosita Road, Del Rey Oaks, California. Pastor: Rev. Dr. Robert Hellam. Worship services are held every Sunday morning from 10:30 to 11:30. We share Holy Communion on the first Sunday of each month. Fellowship hour immediately follows our worship service. The Congregational Way is a way of following Jesus. People of a Congregational Church do not seek to be led by a creed, but by the Spirit. Ours is the tradition of a free church, gathered under the headship of Jesus and bound to others by love, not law. We are voluntarily affiliated with the National Association of Congregational Christian Churches (NACCC). By voluntary membership in a National Association of free churches, a local church can join in efforts which one church could not undertake by itself and experience the fellowship of kindred minds, while maintaining full control of its own affairs. We support and affirm the mission statement of the NACCC: "Bringing together Congregational Christian Churches for mutual care and outreach to our world in the name of Jesus Christ."